Flow North Paddling Company » Family Canoe Night! Every Wednesday night of the summer is Family Canoe Night in High Level! Come on out to Footner Lake for drop-in canoeing between 6 pm and 9 pm (8 pm now, as the days get shorter). We couldn’t decide what to charge, so we’re just going to do it by donation! Go for a short trip with your toddlers, or take a tour around the lake. We’ll just ask when you expect to be back. 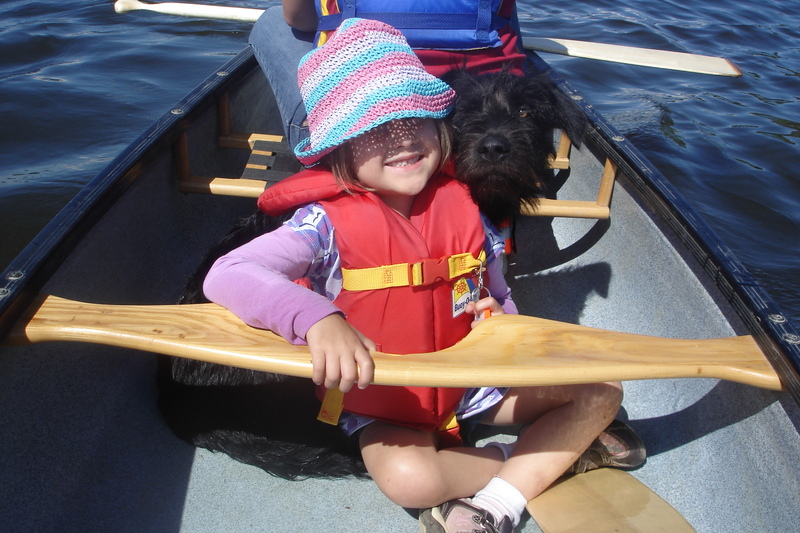 We have lifejackets for kids of all sizes, but if you have your own, by all means, bring them. We’ll review some safety tips and then you’ll be on your way! If we need to cancel due to bad weather, we’ll post a note on our main homepage. Family canoe night is all finished up for this year, but we’ll start up again in late May, 2012. 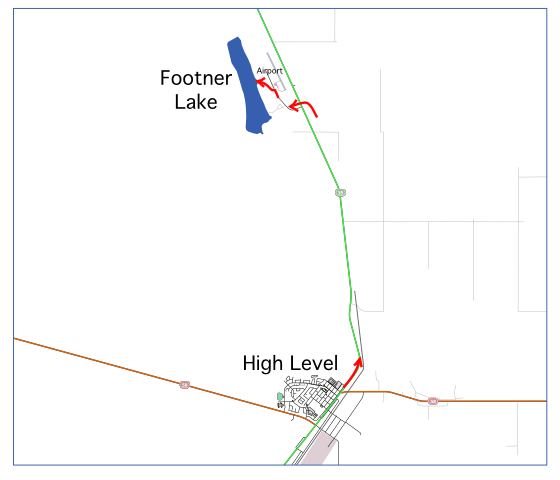 Footner Lake is located about 10 km north of High Level on the Mackenzie Highway (Hwy 35). Turn left to go to the airport, and then turn left again across from the Budget Rent-a-Car garage.